In our very first One-Off Match, Chris & Fax discuss the main event from Mind Games in 1996, Shawn Michael v. Mankind. 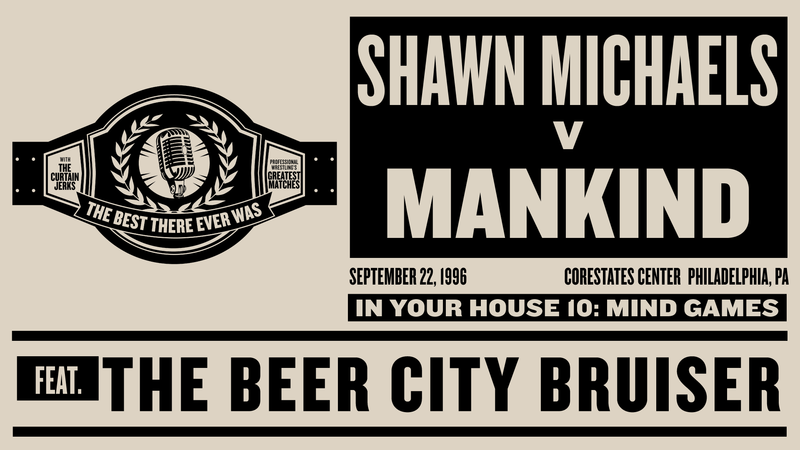 Joining them to chat about the match is Ring of Honor phenom The Beer City Bruiser. Bruiser shares his reason for choosing this match as “the best there ever was” and its importance as an educational tool. Check out our episodes from Season One: WWE Hall of Famers and Season Two: Wrestling’s Greatest Rivalries.